The ultimate game of hide-and-seek is played out every day in nature, leading to animals having evolved adaptations over millions of years to evade being spotted by their predators. 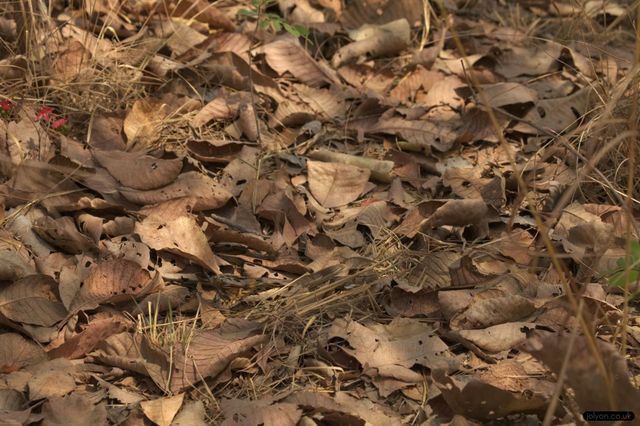 Camouflage is the art of concealment and can be achieved in many different ways, including matching the background, masquerading as a non-edible object like a dead leaf, or actively changing colour and pattern. The problem with matching the background is that natural environments are visually complex, meaning that an animal’s appearance will rarely match the background perfectly. One solution is for animals to behaviourally choose places to sit that best match their own appearance. It’s been known for many years that some species of animal, such as many moths, have particular background preferences, but can individual animals also decide where to sit based on their own specific appearance? This question was largely unanswered, especially in wild animals, and challenging to investigate. Nevertheless, we set out to test whether or not wild birds like plovers and nightjars from Zambia have individual preferences for nest sites that most effectively hides them and their eggs. These birds all nest on the ground, leaving the eggs protected from predators only by their camouflaged shells, or the camouflaged plumage of the incubating parent. 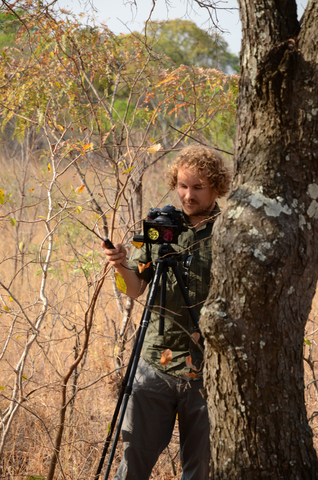 The first challenge was to work out how to quantify camouflage from the perspective of predator visual systems. In our previous work we’d shown that the nests are attacked by a variety of animals with different visual systems, from mongooses that only see in blues and yellows, to birds that can see ultraviolet light. Fortunately, we had access to specially calibrated cameras that can photograph in the human-visible and ‘invisible’ ultraviolet range. We could therefore capture the appearance of the entire animal and its surroundings, literally in a snap. We could then create images representing how predators would see these scenes through their specific visual systems – the crucial selective pressure on camouflage. With just under 200 nests found, I think it is safe to say that we won the game of hide-and-seek! But we didn’t win it alone: our sample size was almost entirely down to the efforts of local farm workers with whom Claire had worked with for many years to find nests for research. Without their amazing field skills, this body of work would not exist. They would lead us to the location of a nightjar nest, point at the ground 10 meters away, and then wait patiently while we attempted to locate the nesting adult. To identify nest predators, we used camera traps, which revealed that the birds have to contend with predators with a range of different visual systems. Of course the footage also revealed other events such as a nightjar nest (with chicks) being ransacked by ants, and a more affectionate camera trap moment in which a three-banded plover bravely defended her eggs from a curious cow. 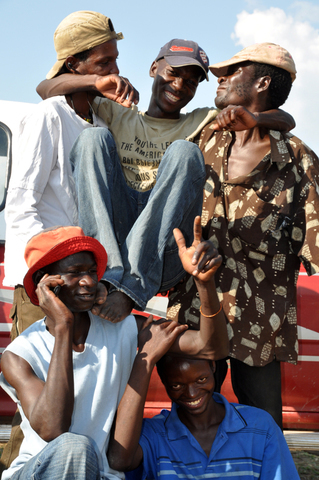 So now we know the secret to winning nature’s game of hide-and-seek: befriend some nature-enthused locals! Thanks to them, we learnt that the nest sites chosen by individual birds enhanced their camouflage compared to how well-concealed they would have looked had they chosen potential nest sites nearby, or sites chosen by other individuals of the same species. This is exciting because it is the first evidence from the wild that individual animals actively choose nesting sites that improve their camouflage. However, as with most scientific discoveries we are left scratching our heads over new questions, such as how the birds select their nest sites: do they learn to assess the camouflage of their eggs and plumage, or are their preferences hard-wired into their genetics?